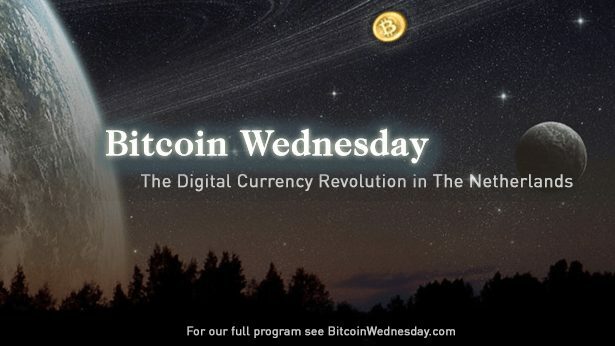 On 1 April 2015 the 22nd monthly edition of Bitcoin Wednesday kicks off with the internationally acclaimed speaker and authority on Bitcoin technology, Andreas M. Antonopoulos. 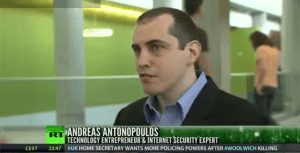 Mr. Antonopoulos is the author of O’Reilly’s reference “Mastering Bitcoin: Unlocking Digital Cryptocurrencies” and is considered one of the world’s leading experts on the subject. His skill as a communicator and visionary has brought him fame as a speaker at hundreds of conferences, talk shows and corporate boardrooms. His perspective on the impact of cryptocurrencies is much sought after, and was seen in his October 2014 presentation to Canada’s Senate Committee on Banking, Trade and Commerce. For more information read Bitcoin Wednesday’s profile of Mr. Antonopoulos. The UK government’s plan to invest £ 10 million in digital currency research. 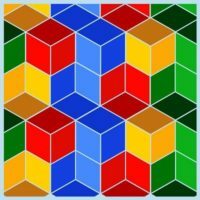 Multisignature Wallets at Bitcoin Wednesday #24 on June 1st. Then we will hear a presentation from Annet de Boer and Rogier Eijkelhof, two founders of Bitkassa, an Arnhem-based startup that provides a turnkey payment processing solution for merchants to accept Bitcoin. Annet and Rogier are also organizers of the “Arnhem, Bitcoin City” project that led to 40 merchants in the small Dutch city of Arnhem accepting bitcoin within the first 6 months of their campaign. “Arnhem, Bitcoin City” has been widely covered by press around the world. After all of the presentations have been given we meet at the cafe downstairs to discuss the night’s events and to network with the other members of the Dutch digital currency community. Mark it down in your agenda; join us on Wednesday at 18:30. The conference begins at 19:00, but we gather a little earlier in the cafe downstairs (at 18:30) for a round of drinks.